​To purchase my items please visit my Etsy shop JosLeatherCrafts, most items are ready to ship. If you have something in mind do not hesitate to contact me for a custom order. Here are a few policies, that are more for Etsy buyers than when buying from me personally. Unless an obvious mistake has been made. When the items leave my studio it is also final, no returns exchanges, or colour changes can be made. For custom orders I will send you a picture before I post the item, if there is anything you think you are not happy with/concerned about you must say before it leaves me, after postage it is too late. Is expected before any work begins. I will give you a quote and if that is accepted you will be invoiced via paypal, I will then begin work when this has been paid. I will also quote you for shipping. Please tell me what country you are in along with your order. You may send me pictures of a design or artwork, but it will be done how I think best to the best of my ability. 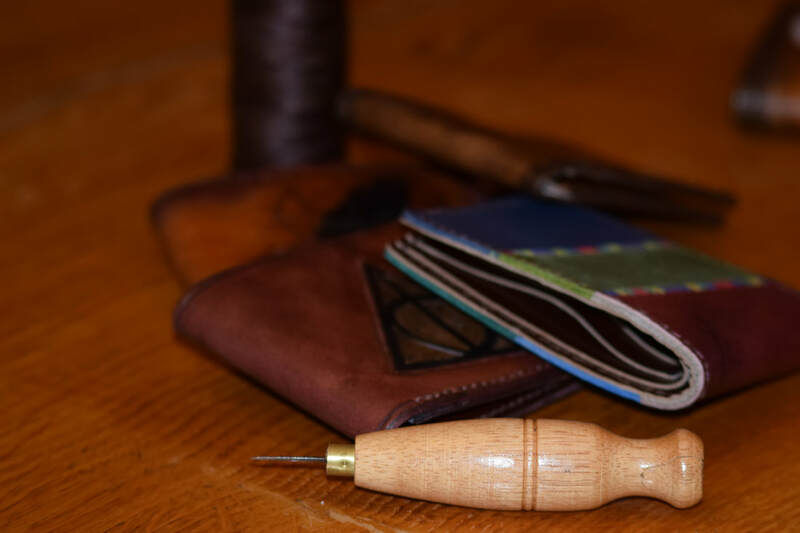 Not everything may be as detailed as the pictures you have sent, these are handmade items. I will ask what colours you would like but this is also open to my interpretation. You are paying for a one-off item that will be done in my style as I am the artist. All items will be posted via royal mail, with insurance. Overseas and high-end items will be sent with tracking. Once your order has been posted it becomes the responsibility of royal mail. I will try to help where I can, but I am not responsible for circumstances out of my control. Be aware overseas shipping may have taxes or duties, please look at your countries fees prior to purchasing. Also, be aware busy times of year (such as Christmas) you will have shipping delays. All my items are inspected and guaranteed to be free of defects upon leaving my studio. If I have any products that have flaws they will be clearly stated. In that case the customer is agreeing to purchase in “as is” condition. Loss, theft, or customer inflicted damage are not warranted, and I am not obligated to replace such items. I will fix certain things (such as stitching, snaps, clasps) after evaluation. Once an item leaves my studio it is the customers responsibility to take proper care of their items. 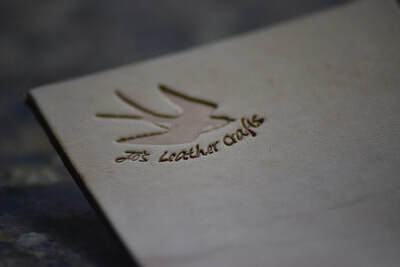 Leather is a natural product and can be damages easily if not cared for. Leather is not waterproof. I do take custom orders via Etsy, or you can email what me you’d like, and I’ll see what I can do. Payment is expected before any work begins, either in full (Etsy policy) or a deposit, production starts after the sale is confirmed. Wait times vary, 2-3 weeks depending. Bear in mind I am a crafter working on my own and have limited studio time. For items ready to ship please look at my Etsy shop. All items will have my logo stamped on them.